Are you in need of a foreign language website? Or, do you have concerns regarding your current one? To expand your reach on a global scale, having websites that speak the "languages" of your intended target markets is becoming increasingly important. We specialize in Japanese, Chinese and a host of other Asian languages. An English-language Website Should Not Be Translated As Is! Since we already have an English-language website, we just have to translate it into Japanese or Chinese to create a multilingual website. The above is a common perception that often leads to poor performance. We receive many inquiries asking to have websites translated quickly and cost efficiently. The pitfall is obvious and such approach will never be appealing to your non-English native audience. The text in an English-language website is written with those in English-speaking countries in mind. As such, there is a surprising amount that needs to be rewritten for an overseas audience. Simple examples are the addition of country codes to phone numbers and country name to addresses. Even maps showing your location may need to include information on how to get there from an airport, not just from the nearest highway exits. Arc Communications, which handles many translations of foreign-language websites, will employ vast amounts of knowledge of minute details as part of our website translation service. Contact us today to have your multilingual website not just translated, but have it translated the right way for your intended audience. How Can Translations Be Made to Effectively Convey the Corporate Message? We all know that a website is now the "face" of a company. 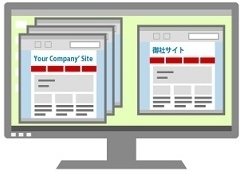 English-language corporate websites contain various messages from the company. However, if the messages are translated word-for-word, they may often not make sense in Japanese, or in any other language for that matter. - Our mainstream languages are translated by native speakers resulting in contents that sound natural to the target audience. - Translators have strong writing skills to further compliment the natural sounding translations to convey the essence of a company’s message. - Translation coordinators take part in the project from the viewpoint of our client. By grasping our client’s brand image and familiarizing themselves with industry lingo, they ensure contents are expressed appropriately for the client and the industry that it serves. We offer consultations for your website translation needs. Contact us today and let us help you get the most out of your budget. HTML Markup Language Contains Important,Unseen Areas for Translation! Do you know what META tags are? Hyper text markup language (HTML), which is what websites are composed of, contains many hidden elements that are not displayed by a browser on a webpage. A typical element is the META tag, which specifies attributes like title, description and keywords. Although these are not displayed on a webpage, they are used by search engines like Google to find search results or for rating a website. They may be unseen but they contain extremely valuable information. Problems can arise if the META tags are not translated correctly. For example, the website may not be rated by a search engine or the correct text may not appear in the search result. There is also a lot of other text and words hidden in the HTML, including those related to elements like the comment tag (remarks) and ALT tag (alternate text for an image). If you ask several translation agencies for an estimate for a website related translation and you see a major difference in the number of characters for translation that the estimates are based on, the estimates with fewer characters often do not include such important, hidden elements. Arc Communications, which handles many foreign-language website translations, has accumulated a wealth of such know-how. ⇒ Why not begin by consulting us? Full and Effective Use of Tools! Websites often contain many expressions that are repeatedly used. We utilize translation support tools for such overlapping items so that they can be translated across the board. This not only ensures that the terms and phrases used are standardized but also helps to reduce translation costs. Tools are also used to confirm whether HTML tags have not been accidentally "broken" during the translation process.